The form of these chairs focuses on creating a comfortable seating surface in which you can sit cross-legged. The stability and low profile of the chairs help the user feel at ease in this position. The design combines a sensual curved seat with angular legs marking a stylistic balance between modern and rustic, while accentuating the natural beauty of the local cypress wood. 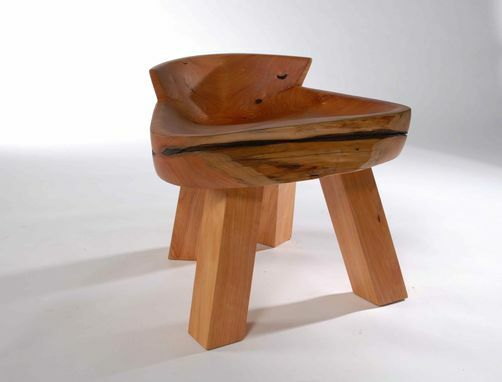 The chairs are carved from one large slab of wood from which both chair seat and legs could be made.